Did you know, the wide range of turmeric health benefits come mainly from its main ingredient, curcumin? There may not be a single kitchen in India that doesn’t have turmeric. But did you know that turmeric, also known as haldi, has way more uses than just playing the colour and flavour agent in food? Our good old haldi has been used throughout history as a condiment, healing remedy and textile dye. Interestingly, its use for cosmetic purposes dates back to the ancient Vedic culture of India and it was traditionally called ‘Indian saffron’ because of its deep yellow-orange color. Turmeric is an anti-inflammatory, anti-oxidant, and antiseptic. The volatile oil fraction of turmeric has demonstrated significant anti-inflammatory activity, thereby helps cure various skin conditions. Turmeric helps in maintaining the cholesterol level and lowers the risk of heart disease and high blood pressure. Curcumin in turmeric may be able to prevent the oxidation of cholesterol in the body, which is what damages blood vessels and builds up in the plaques that can lead to heart attack. Turmeric promotes digestive health, regulates metabolism and helps in managing the weight as it is an excellent liver detoxifier. It helps protect cell damage caused due to environmental pollutants, attack from free radicals etc. 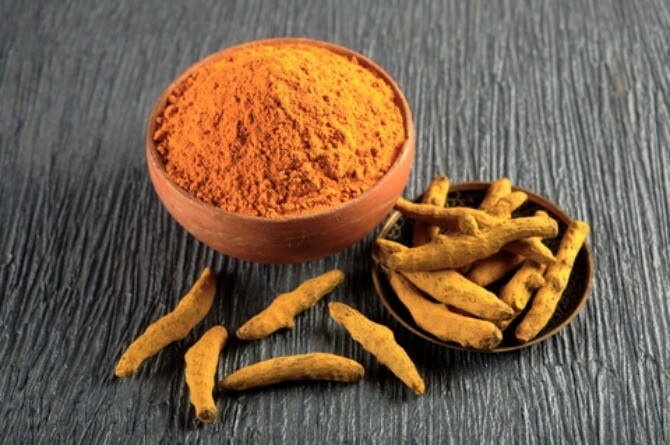 Curcumin in turmeric demonstrates neuroprotective action in Alzheimer’s disease, major depression, epilepsy, and other related neurodegenerative and neuropsychiatric disorders. It’s also great for memory and brain function. Turmeric is an analgesic (pain reliever) and helps in boosting the immunity. Turmeric strengthens bones and reduces the risk of developing osteoporosis. Turmeric reduces pigmentation and makes skin supple. To even out skin tone: Apply a little turmeric mixed with cucumber juice or lemon. Leave on for fifteen minutes or more, and wash off. Do this everyday, and gradually you will notice your skin colour returning to normal. To use it as a body scrub: Apply turmeric and gram flour (besan) mixture to your entire body and wash it off after 15 minutes, with plain water. It leaves your skin soft, smooth and glowing. It’s also supposed to be good to get rid of fine facial hair. Do this regularly for a better result. To lighten stretch marks: Apply turmeric and malai or curd to your stomach and waist before going for a bath. Leave it on for fifteen minutes, and wash off. If desired, you could even apply this mixture after bathing. To make turmeric milk for cold and cough: Take ½ to 1 inch turmeric and boil it for 15 minutes in 1 cup milk. Strain this and drink after it cools. Honey or ginger can be added to this for a different flavor. 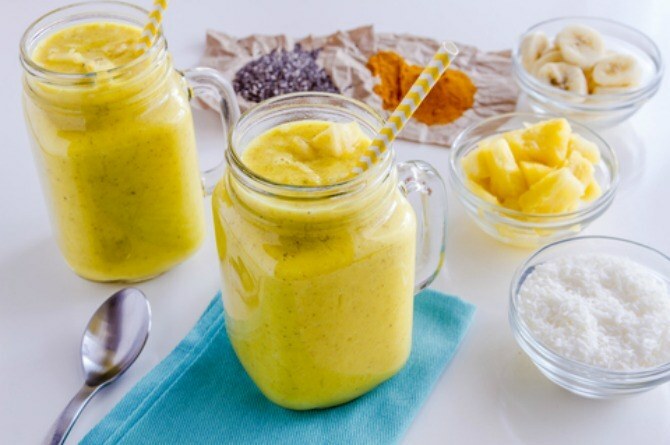 A pinch of turmeric can also be added in fruit smoothies. To ease itching from burns and bites: Apply a paste of turmeric and aloe vera gel on the affected area. If you have any insights, questions or comments on benefits of turmeric, please share them in our Comment box below.